We understand the frustration of waiting and having to travel to a separate location for results, which is why we provide an on-site lab to help patients get answers quickly and without the headache. In an emergency, time is critical. Let us provide efficient, caring treatment in a comfortable environment that’s focused on you. The Emergency Clinic offers comprehensive emergency medical care services to the residents of Texas. We have three convenient locations — Alamo Heights, La Vernia and by The Pearl. 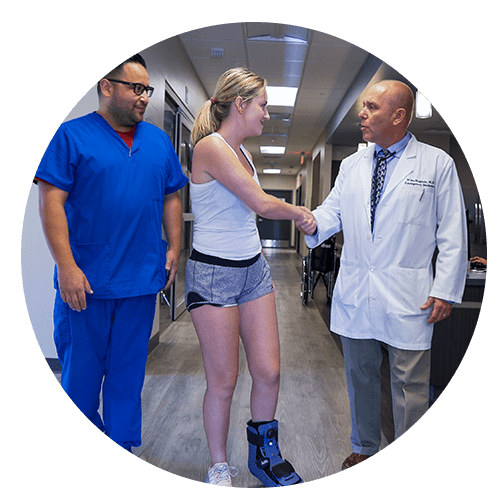 You can count on our highly experienced doctors, nurses and technicians to provide high-quality medical care. We have a physician on-site 24-hours-of-the-day and seven-days-a-week ready to treat any medical emergency you might be suffering from. 6496 N. New Braunfels Ave.